← I can also wrap books, with twine and paper. 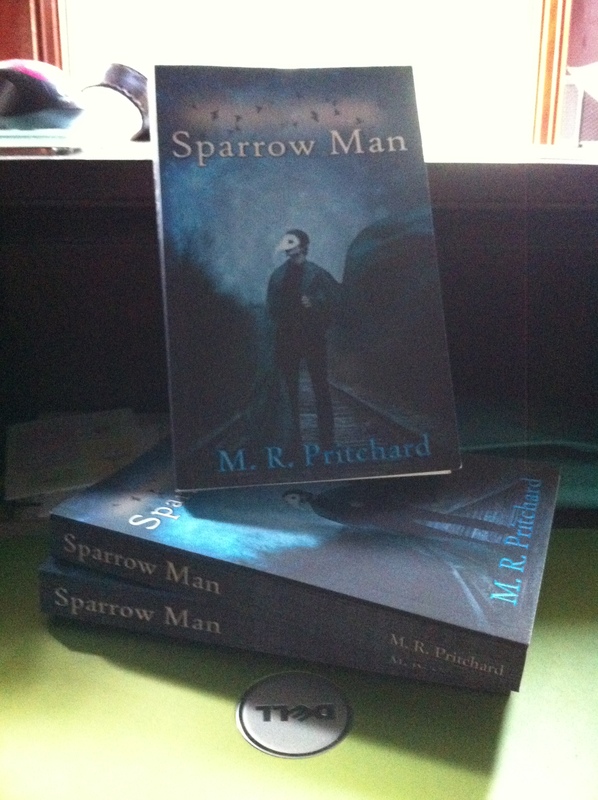 The SPARROW MAN proofs are here and I can’t wait for everyone to be able to read it this August!! My last set of Beta-readers are reading and my editor is looking over the proof one last time. This book was a round-two contestant in the Amazon Breakthrough Novel Awards 2014 and I received some excellent feedback from the VINE reviewers. So excited! Did you sign up for my Newsletter? If you did you’ll be getting a sneak preview of the first 2 chapters in just a few weeks! Meg Clark has turned out to be everything her father and the people of her little North Country town of Gouvernour, NY, have been saying her whole life: nothin’ but a piece of white trash. And that’s how she lives; she’s even got the tattoos to prove it. Well that’s how she was living, until she got knocked up and engaged. In an effort to hide her past and turn herself around, she spent her inheritance from her dead mother on the perfect little house with a white picket fence. Then something terrible happened and Meg got sent to county lockup so her fiancé, Jim, wouldn’t have to. And then everyone started waking up…dead. This entry was posted in Uncategorized and tagged #goodread, coming soon, Dark Fantasy, eBook, Sparrow Man. Bookmark the permalink.